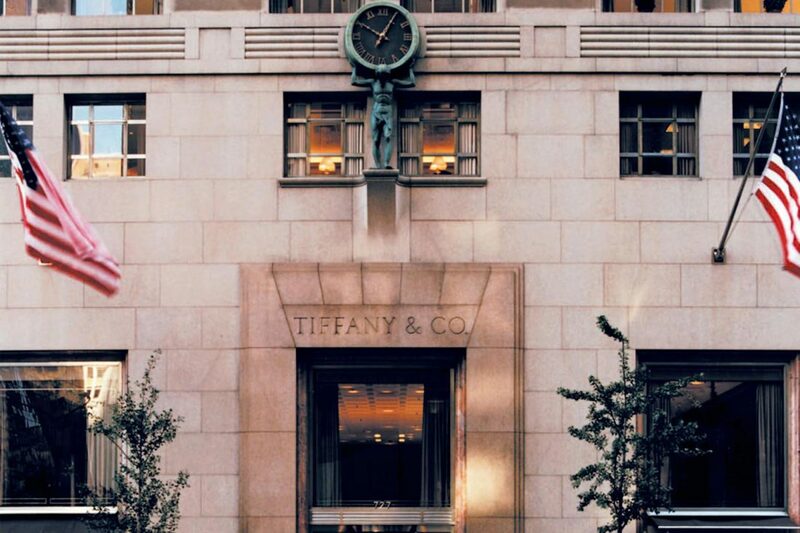 It’s no secret that Tiffany & Co’s flagship Fifth Avenue store is home to some of the world’s most opulent jewellery, but it is also a gem in itself for several reasons. 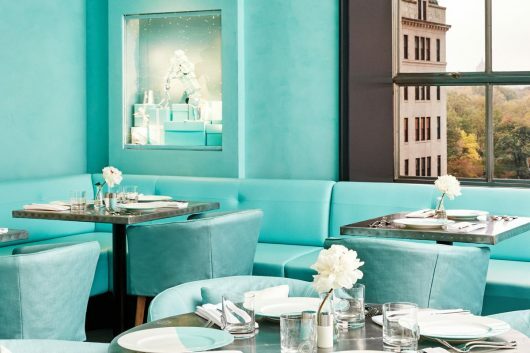 There’s its iconic window displays that have been designed by equally illustrious designers the likes of Gene Moore, Rachel Zoe and Baz Luhrmann; and its Blue Box Café where guests can imitate Audrey Hepburn in Breakfast at Tiffany’s.  Unbeknownst to many, however, is its secret salon that exclusively caters to high-end clients by appointment only. Sprawled across the mezzanine floor of the flagship store, the salon boasts one-of-a-kind jewellery pieces, rare gemstones and bespoke creations that few will ever get to see. 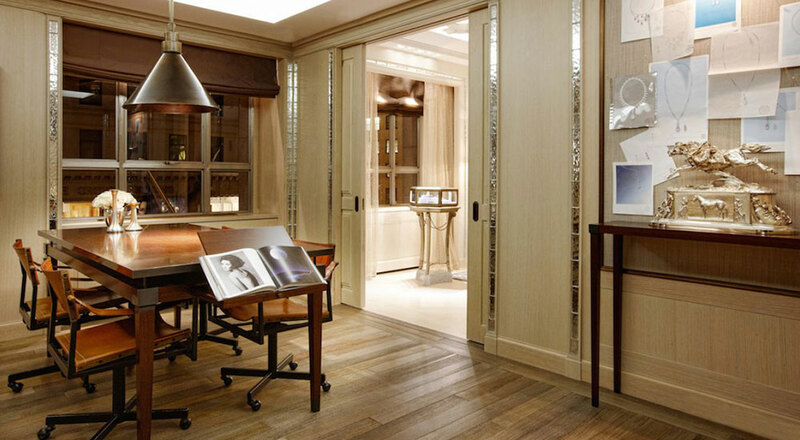 The space, which formerly served as Tiffany designer Jean Schlumberger’s atelier, was opened in December 2010. “We have about 1.8 million visitors [and] building each year and maybe only about a few hundred have the opportunity to have an appointment in this salon,” said Jeff Bennet, Tiffany & Co. Regional Vice President for the New York city region. “The average piece of jewellery in this room can go from about $20,000 up to maybe six or seven million,” he added. The salon is set behind two ornate brass doors opening to homey and intimate space in a neutral palette spruced with silver and grey trimmings. This colour scheme was carefully selected to ensure the diamonds and jewellery can stand out without clashing with a customer’s dress. 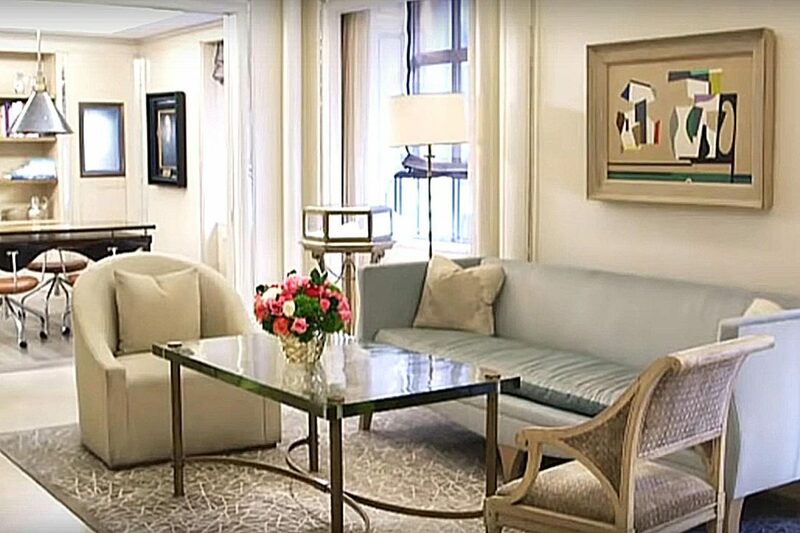 According the architect Robert Stern who designed the space, the main area emulates a living room – except “where people bring you diamonds instead of martinis”. There’s also a fully-stocked bar and a private dressing room for customers to get ready for an event. Among the high jewellery pieces on display at the salon currently are a 26-carat yellow diamond ring and a bib necklace embellished with 3,000 precious stones. Customers can also peruse the Tiffany Paper Flowers collection, the first jewellery line by Reed Krakoff, who was appointed as creative chief last year. Watch the video below for a look inside the salon.